One of Murphys most prevalent laws is that time required expands to equal time allowed! The good folks at Clapton Church are aware of this rule. Not to worry! They contacted Screenflex and described their needs. 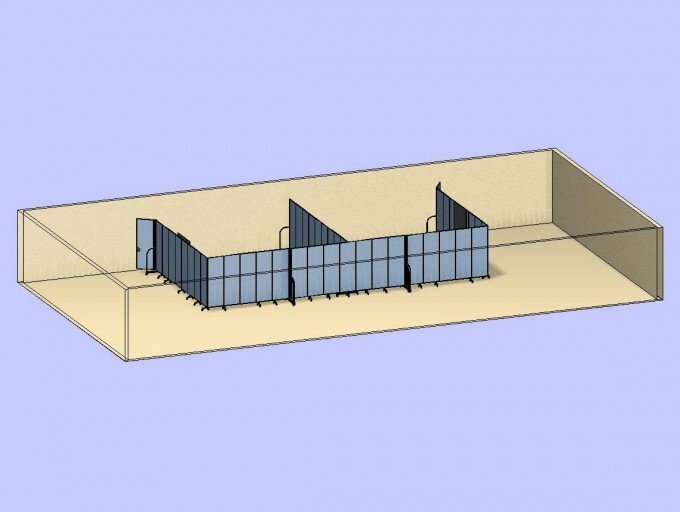 The attached plan was quickly created and the purchase of four portable accordion walls approved. Since the height, length and colors they needed matched those in our quick ship program; the dividers were shipped and delivered very quickly. The dividers create two classrooms for Sunday school on Sunday and are used to assist with other ministries during the week.